Pastor: Rev. David Colhour, C.P. Associate Pastor: Rev. Febin Barose, C.P. Sundays — Sat evening: 5 p.m.; Sun: 9 a.m., 11:30 a.m.
Holy Days — Holy Day: 7 a.m., 9 a.m., 5:30 p.m.
Daily — Mon-Fri: 7 a.m.
Saint Agnes Parish dates its foundation to 1885, when Father Bernard H. Westermann was appointed to serve English-speaking Catholics just south and east of Louisville. As far back as 1871, however, Father George McCloskey had gathered worshippers near Preston Park Seminary (site of today’s Bellarmine University). A school existed around 1876. After the Passionists opened Sacred Heart Retreat House, parishioners attended Mass in its chapel, which was enlarged as the parish grew. In 1890 Bishop William G. McCloskey asked Father Felix Ward, C.P., to take responsibility for Saint Agnes; in 1892 the bishop requested that the Passionists make the relationship permanent. The Sisters of Charity of Nazareth arrived in 1914 and led the school for many decades. School facilities expanded in the 1940s and 50s. Today, Saint Agnes School has more than 400 students from kindergarten through grade eight and has been named a Blue Ribbon School of Excellence by the United States Department of Education. To fund a more substantial church, Saint Agnes initiated Louisville’s first church carnival in 1923. An annual city-wide attraction, it helped the parish pay off the $325,000 required to build the Italo Romanesque style church. Construction began in 1927; the church was dedicated in February 1928, its campanile by 1943. Wider lay participation after the Second Vatican Council included a parish council, formed in 1969, and a school board in 1971. The parish house with living quarters and offices was ready for occupancy in 1970. 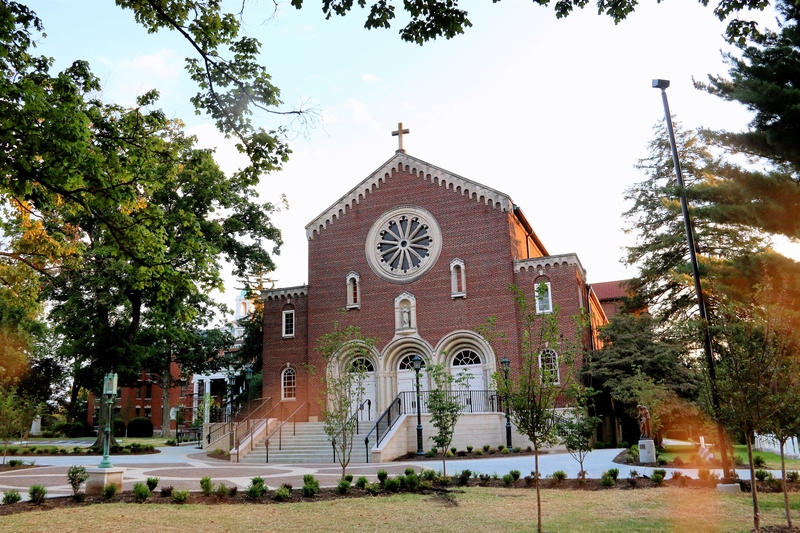 In 2004 a new parish center offered dining/cafeteria facilities, meeting rooms, and a church undercroft. More than 3,900 registered parishioners include families representing several generations of membership. Liturgical music enriches worship, prayer and reflection opportunities enrich spirituality, and a carnival and fish fries enrich social life. St. Agnes is a Catholic community served by the Passionists, embracing Jesus’ suffering love for all through worship, service, formation, and education.